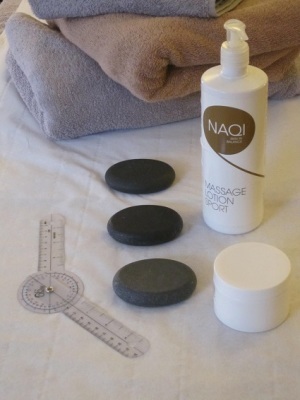 se16massage offers professional Soft Tissue Therapy in South-East London. Specialist in developing whole-body tissue (fascial) connectedness; improving funcionality and precision of movement; and offering personalised, post-treatment support where needed. Hands-on treatment at se16massage is slow, deep, and impactful. Services include: tension release, pain relief, injury rehabilitation, structural integration, event preparation, and of course deep, relaxing massage. Standard rate £60/hour, reducing to £50 after three sessions on the same issue as part of a continuous course of treatment. See here for full details of the fee structure, look out for discounts, and make an enquiry or book here . Niggling aches and pains? Stiff neck or headache from staring at the screen all day? Pain in your back from poor posture or other "misalignment"? Fit and healthy but with discomfort that you've had for ever and want to get looked at "at some point"? Or do you have a more serious pain that stops you from doing things you want to do? - It could be a sports injury, back pain, or perhaps a repetitive strain as a musician or other trade. You might even be recovering from an operation, and wanting to get back to 100% as quickly as possible. Alternatively, you might be preparing for an event or performance. If so, you'll be wanting to ensure you are in tip-top shape and that you recover quickly from practice sessions - so you can get back to further practice as quickly as possible. Perhaps none of that, and you're just after a nice, relaxing massage at the end of a long day? A Clinical Massage Therapist can help with these. It is important to find the right therapist for you. If you are looking for someone who is trained to assess your needs, to provide a variety of appropriate soft tissue treatments, and to support you with ongoing and effective self-maintenance advice, then please get in touch .